A top Israeli diplomat was rebuked by Prime Minister Benjamin Netanyahu on Thursday for suggesting that American Jews have a poor commitment to service in the U.S. military. 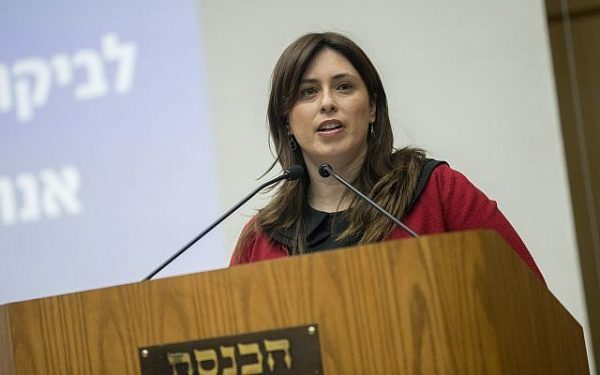 While Israel has often quarreled with American Jews over their right to advise it from afar, Hotovely’s remarks went further by appearing to insinuate they are not fully committed to their native country, a notion U.S. Jewish organizations have long fought against in their battle against anti-Semitism. In a statement, Netanyahu, who also serves as Israel’s foreign minister, denounced Hotovely’s comments as “hurtful”. According to a 2009 survey published by the congressionally-mandated Military Leadership Diversity Commission, an estimated 1.09 percent of the members of the U.S. armed forces are Jewish. The Pew Research Center estimated in 2013 that Jews make up about 2 percent of the U.S. adult population. They would rather take our tax dollars money instead. Well can’t blame them for that if our beloved congress let them have it. Hamas has already said it was Islamic Jihad members who did this in response to Israel blowing up their terrorist tunnels that where inside Israeli territory. Good bye to bad rubbish. Fatah needs to rid Gaza of all terrorist including the Islamic Jihad bunch of losers. substance ? Not the type who reads.. The Joos needed a Homeland- actually, the world Zionist Cabal needed a place safe from international law so they could perpetrate the Protocols of Zion Crimes on the goy.